Gonfreville-L'Orcher (France), October 22, 2018 (SPS) Polisario Front lawyer Gilles Devers warned on Saturday in Gonfreville-L'Orcher (France), that European companies operating in the territory of Western Sahara, must now choose between negotiating with the Polisario Front or stop their activities and leave. 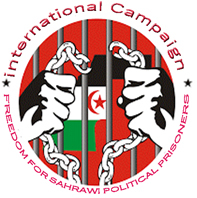 "From now on, since the judgments of the Court of Justice of the European Union (CJEU), the European companies operating in the territory of Western Sahara, must either negotiate with the legitimate representative of the Sahrawi people, the Polisario Front, or cease their activities and leave," he insisted during his speech at the International Conference on the Natural Resources of Western Sahara which closed its works Saturday night. Having explained that with its two rulings of justice, the international law has passed to the European law, the lawyer recalled their important decisions, namely Morocco and Western Sahara are two separate territories, Morocco does not enjoy any sovereignty over the territory of Western Sahara, the presence of Morocco in Western Sahara is a military occupation, thus a war zone and the Sahrawi people is the only one to benefit from its natural resources. "Nothing can be done in this territory without the consent of the Saharawi people, through its legitimate representative, the Polisario Front," said the lawyer, considering the two rulings of the CJEU "earthquake" that will shake the European edifice with their application sooner or later. However, he acknowledged that there is still "a way to go" and that the battle "is not over yet", even if these rulings are "acquired" and all European states are required to apply. "We are in the middle of a battle, countries like France and Spain are trying to find legal interpretations to circumvent the rulings in favor of agreements signed by the EU and Morocco," he said, ironically these countries "want to implement agreements signed with a country in a territory other than that country".